The Nokia Lumia 530 is now available in India, the handset is the dual SIM version of the Nokia Lumia 530 and it retails for INR 7,349 which is around $120. The Nokia Lumia 530 is equipped with the latest version of Microsoft’s mobile OS, Windows Phone 8.1, the handset is equipped with a 4 inch display. The 4 inch display on the Nokia Lumia 530 comes with a resolution of of 854 x 480 pixels, and the device is powered by a quad core processor. The Nokia Lumia 530 is powered by a Qualcomm Snapdragon 200 processor clocked at 1.2GHz, the device also comes with 512MB of RAM and 4GB of storage. The handset also comes with a microSD card slot which can take the latest 128GB cards, and it comes with 15GB of online Microsoft cloud storage. 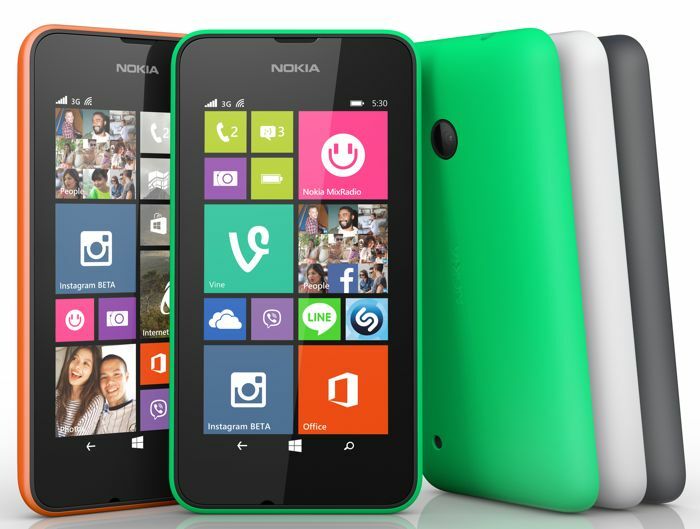 The Nokia Lumia 530 is equipped with a single camera on the back of the handset, which is a 5 megapixel model, the device also comes in a range of colors, which will include grey, green, white and orange.